Vicky Jessop in Literature on 5 October, 2015. Durham Book Festival runs this year from the 6th to the 17th of October with more than 50 events across the city. October rolls around and here we are again with Freshers’ Week and a new academic year just around the corner. With that, naturally, comes the annual Durham Book Festival: two weeks of events with novelists, poets, short story writers and academics, debates and readings. Here at the Literature section, we’ve made it easy for you and put together this little guide of a few of the highlights you can expect from this year’s festival running from the 6th to the 17th of October. Novelists, poets, screenwriters, non-fiction writers and short story writers including Xinran, Pat Barker, Andy Miller, Yasmin Alibhai-Brown (and many more) will be giving talks across Durham. There really is something for every taste! There’s an event where you can hear three prize-winning short story writers with Northern roots (Crista Ermiya, Carys Davies and Stuart Evers) celebrate the genre and read from their latest collections. Another event gives the floor to four young emerging women poets (some of them Durham University students) who will discuss the influence of four earlier women poets before them. Another – ‘Writing from Conflict’ has two short story writers, Michelle Green and David Constantine, discuss fictions (including their own) set in war time or its aftermath. The Gordon Burns Prize celebrates innovation in fiction and nonfiction writing, and at the Durham Book Festival this year’s winner of the prestigious prize will be announced with readings from the nominees. Go along to Durham Town Hall on Friday 9th October to enjoy an evening of listening to exciting new writing, with texts on a variety of subjects- from ‘a dystopian journey into Putin’s Russia’ and a collection of road stories set in present day Sri Lanka to an experimental novel following the lives of three generations of women in Birmingham. Although it’s too late to buy tickets for Philip Pullman’s talk, the celebration of the ten-year anniversary of Northern Lights is still within your reach. On Saturday 17th October at the Palace Green Library a panel of academic experts from English Studies, History and Theology will consider the popularity of fantasy texts with children and young people. There’ll also be an opportunity to ask your own questions. This year the Book Festival has commissioned several original pieces to make this year more unique than ever: Stevie Ronnie will be presenting ‘Arctica’, a one-man show of spoken-word, poetry and visual arts coming from his time spent in the High Arctic. At the Poetry Exchange visitors are invited to nominate a poem that has been a ‘friend’ to them, record it and share their feelings about it. Alternatively, you can go along to learn about this approach towards poetry and listen to others’ stories. Frances Leviston will also introduce her new collection, Disinformation, which raises questions about how information is received and accepted in our contemporary world, as well as the role that poetry plays in this process. And to end the festival, this year’s Festival Laureate Sinéad Morrissey, winner of the TS Eliot Prize, will premiere a poem specially written for the festival. As always, the Durham Book Festival celebrates the wealth of literary talent surrounding the North East. This year, this will include a number of events celebrating the local landscapes with Sean O’Brien and Laura Harrington. Sean O’Brien will be presenting a special collaborative project of poetry set to music with composer Agustin Fernandez celebrating W.H.Auden’s interest in the North Pennines. 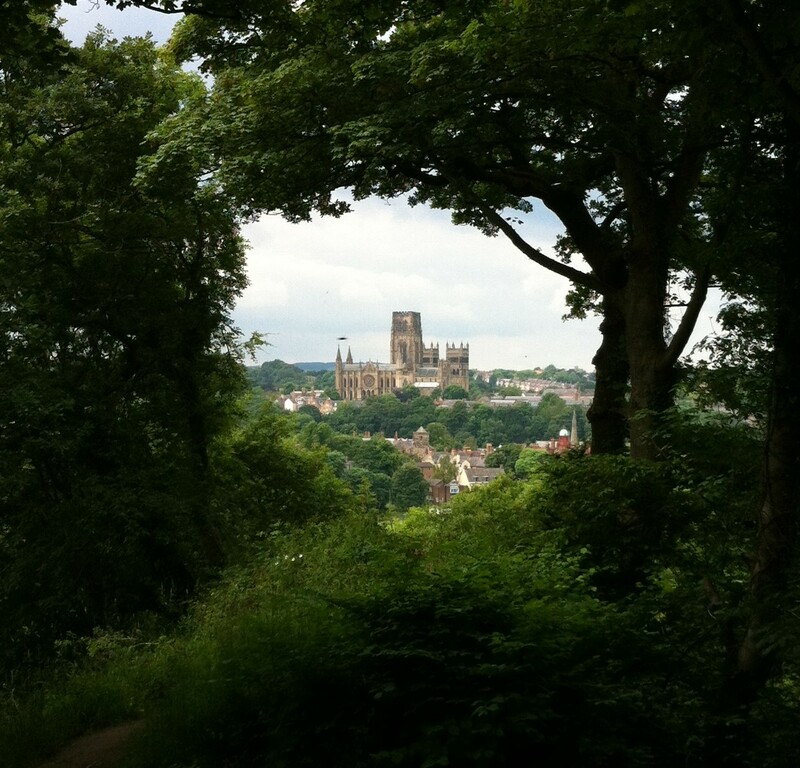 Laura Harrington, a local multi-discipline artist, will be talking with Sean at another event about the inspiration one can take from these impressive landscapes that surround Durham. At another event you can hear eminent northern poets Jo Colley, Christy Ducker and Cynthia Fuller discuss their new collections. While attending the events of the festival why not take the opportunity not only to hear writers speak, but publishers too. Ra Page, founder of Comma Press, an independent publishing company based in Manchester, will be giving a talk about the significance of indie publishers. This will surely be of note to anyone interested in a career in publishing! Calling all aspiring writers! If you want to know more about the world of media and specifically, how books fit into the world of films and television, then this is definitely the event for you. A locally based writer from Gateshead, Peter Straughan has written for both, penning the adaptations for Hilary Mantel’s Wolf Hall and John le Carré’s Tinker Tailor Soldier Spy, and has worked within Hollywood for nearly ten years. If you’re curious about how scriptwriting and bookwriting fit together, then come along to Durham Town Hall on Saturday 10th October to find out more. 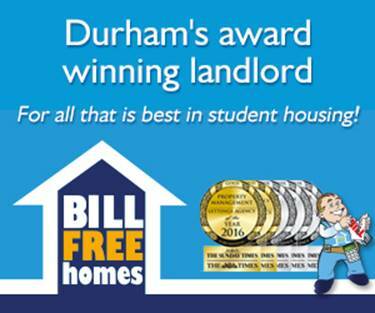 Why not go along to Bill Bryson’s event on the 17th October, and see the former chancellor of Durham return home to the place he once described as the ‘perfect little city’? To celebrate the release of his first travelling book in fifteen years, exotically titled The Road to Little Dribbling, Bryson is giving a speech on his new set of explorations around the UK. Expect humour, excitement and information, all packed into one hour in the Gala Theatre. What could be more exciting? See the full programme here and book now to avoid disappointment – events are selling out fast!